Beach Flyer. 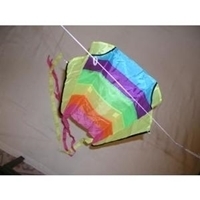 Nylon kite with strings, kite size = 25 in. x 18 in.